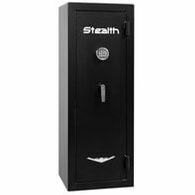 Packed with Features, the Stealth UL Gun Safe Series Provides Superb Quality at an Unbelievable Price! 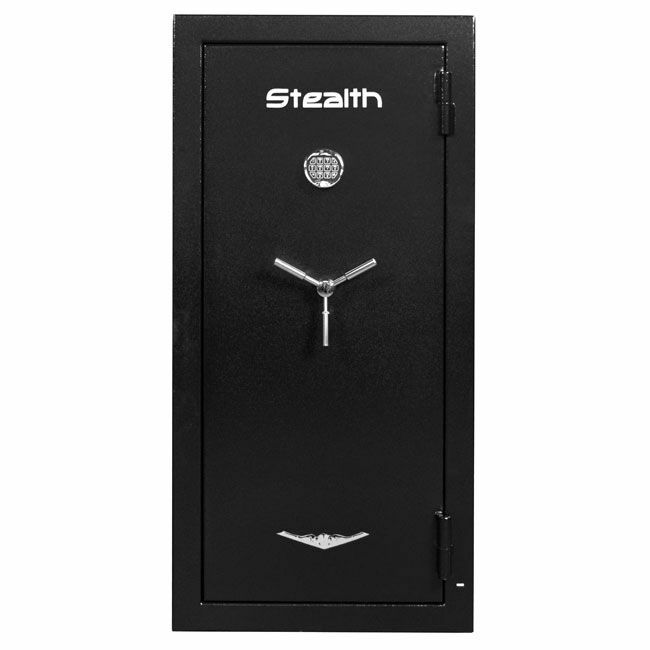 After years of design, testing and improving, Stealth has finally come out with their UL Gun Safe line. 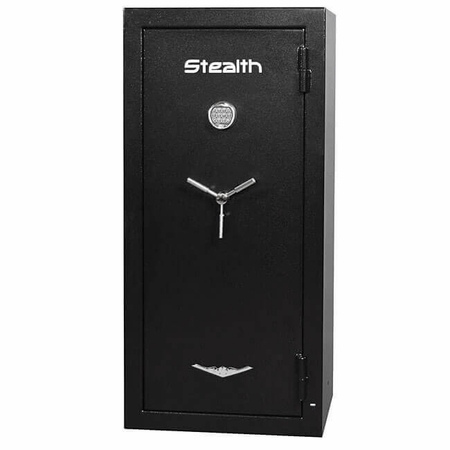 At prices that compete with home safes from Costco, Walmart and Tractor Supply, Stealth has finally proved that a safe at this price point can be made with superior quality and materials. Passing the UL RSC burglary tests with the highest scores, these safes are made super tough. 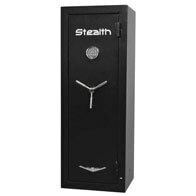 The Stealth UL Gun Safe series is made with a 12 gauge solid steel door and body, significantly stronger and thicker than anything you'll find at Costco, Walmart or Tractor Supply in this price range. Safes of this price are normally made with 14 to 16 gauge with some manufacturers refusing to even list it because it is so thin. 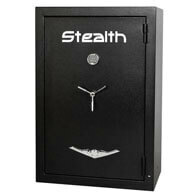 With the Stealth UL Gun safes you get real security, not the illusion from box stores. 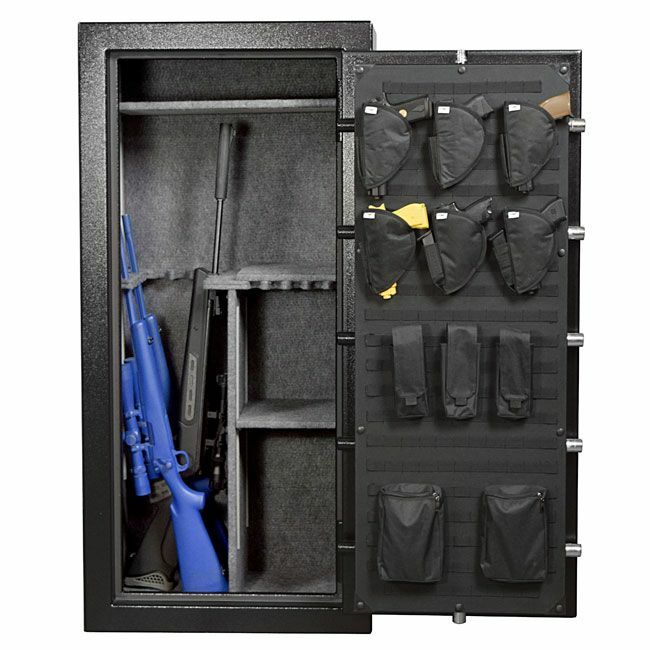 Add in the 12 solid steel, 1.25" thick locking bolts combined with razor thin door gaps and you have yourself an extremely secure, pry-resistant UL Approved Gun Safe. 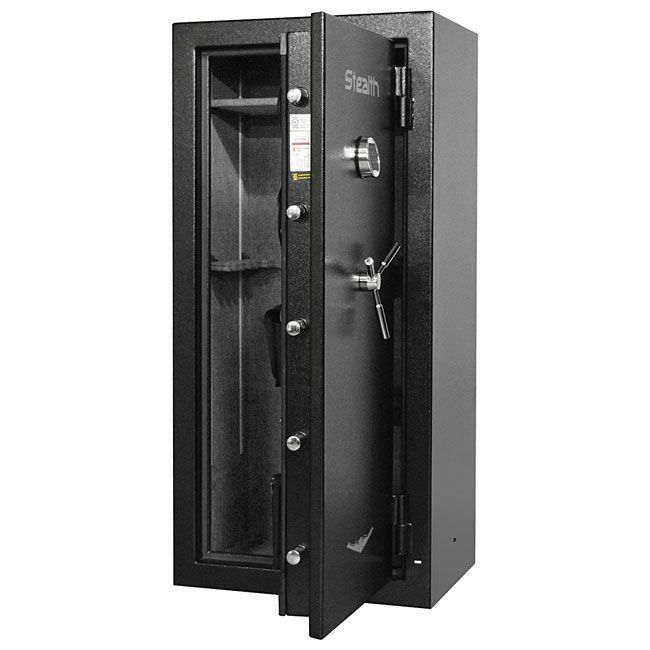 Where big box stores like Costco, Walmart and tractor supply really get you with their cheap gun safes is the quality of their locks. They use the cheapest electronic locks in the industry, but with Stealth you get a UL approved Group 1 Electronic Lock made by NL. This lock is now considered one of the most reliable locks in the industry and you can rest assured you'll have access to your safe every time you need it. The lock is also protected by an internal hardplate and relocker that provides another barrier to a drill attack. 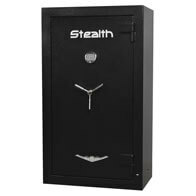 In addition to the top notch security, Stealth's UL Gun Safe Line comes with a 1 hour fire rating at 1200°. This ensures your valuables stay safe and cool inside with the interior temperature never passing 350 degrees F. Stealth also adds an intumescent door seal that expands to multiple times it's size during a fire to prevent smoke from entering the safe keeping your contents safe and secure inside. 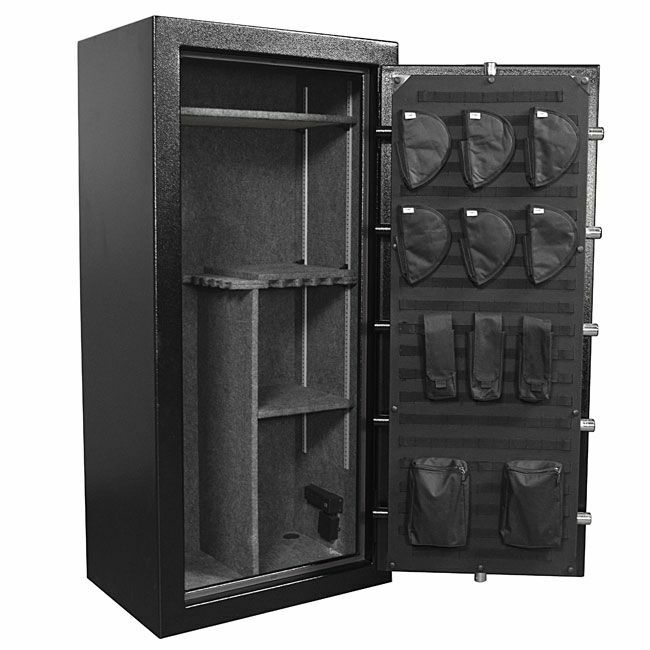 An additional feature that makes the Stealth UL Gun Safe line even better than the competition is the customizable Molle interior door organizer that helps free up additional space in the safe. This system is far better than sewn-in pockets as the system allows for full customization. Want your pistol holsters at the bottom of the organizer? No problem. Want them lined up on the right side? No problem. Want to get rid of all the included accessories and use your own? Again, no problem! You can add and remove accessories as you need with the convenient strap and snap system. The Stealth UL Gun Safe line also includes an electrical outlet kit with 3 outlets and 2 USB slots so that you can charge your electronics inside the safe. These safes are styled with a chrome 3-spoke handle and a textured black finish. Four bolt down holes and mounting hardware is included to secure the safe to the floor. 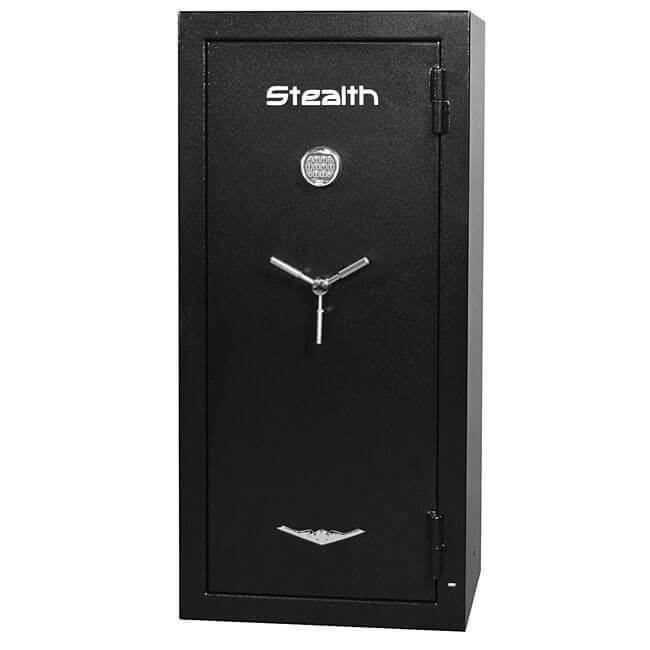 Stealth believes in and stands behind the UL Gun Safe Line by offering a 2 year warranty on the lock and defects in materials and workmanship and a limited lifetime warranty against house fire, attempted break-in and actual break-in.